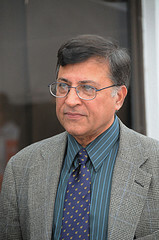 Pervez Hoodbhoy articles are always make a fascinating read. His latest one “Jinns invade campus” questioned the spread of esotericism in university campuses in this scientific age. I would like to humbly disagree with him on a few points. Woven in the fabric of our society is the belief in the supernatural and it has been so from time immemorial. Most of this thought comes from religion, but it is not restricted to one religion alone. Spirituality has been part and parcel of eastern societies. It is one common theme that binds all of Asia. The value mysticism can be asked by those who venture thousands of kilometres from regions with a spiritual void, seeking nirvana. The belief in super natural forces or divinity is not the problem. After all there are a huge number of high achieving scientists who fall in the category of “believers” and many among them are practising believers of an “organized” religion. The belief in jinns, spirits or soul, therefore does not automatically equate to a person being A-scientific. It does not lead an individual to heedlessly summon jinns for generating electricity or for pursuing a career in jinn chemistry as implied by Mr Hoodbhoy in his article. In fact, it can be safely said that this train of thought would have not been embarked on by any of the students sitting in the CIIT auditorium and listening to the “spiritual cardiologist”. A case in point is Japan, a country whose culture is steeped in mysticism and yet their technological feats remain unparalleled. A survey in our country would reveal majority of Pakistani believing in Jinns than not, but I would not pin the decline of our education standards solely on this way of thinking. To create a dichotomy between a belief in spiritual realm and a purely materialistic paradigm is a fallacy in my humble opinion. The problem is the lack of inquisitiveness in majority of our youth. The attitude of not questioning authority let alone challenging it is reflected across our social spectrum, not just in religious education. For example many of the party members even in the secular parties in Pakistan dare not question their leaders. Majority of the students enrolled in professional colleges lack the analytical skills, inquisitiveness and deductive reasoning to gain excellence in their fields. Their objective is not to learn but to gain a degree to in turn get a job. Our libraries remain empty. Although Mr Hoodbhoy is right to point out that the indoctrination of dogmatic views in many religious seminaries is a cause but it must be added that religion itself has been the biggest causality of this approach. In Islamic theology, the over reliance on “Taqleed” i.e. following tradition has brought the evolution of the religious thought process (Qiyas) to a grinding halt. It is because of this jam in cogs that we see a dearth of scholarly work on modern issues. Ironically it is the very problem that was pointed out by much revered Dr. Mohammad Iqbal almost a century ago through his lectures on “Reconstruction of religious thought in Islam”. This herd mentality that plagues the society while deplorable is at the same time explainable. “Going back to the basics” is a defence mechanism that humans tend to adopt when the going gets tough. And it has been tough going for Muslims over last two centuries in general and Pakistan in particular. So the question is, albeit the huge progress made by mankind riding on the shoulders of physical sciences, should we view the world only with the spectacles of physics? Should be do away with Rumis and Dalai Lamas? Should we confine spiritual healing, alternate medicine and Yoga to bins labelled quackery? The answer is no, because this itself contradicts the scientific method. We need to observe with an open mind and analyse judiciously. This also means not using prejudiced fudge factors to skew the results in our favour. It is interesting to note that leaving aside the creationists, there are two groups of scientists within the proponents of evolutionary biology. Evolution is still a theory (with a few loopholes). One group views the theory with a degree of scepticism while others cites it with a smug certitude as if it is an established fact (despite lacking proofs). The tirade between the two groups often results in “orthodox” Darwinian evolutionist mocking their counterparts. This self-righteous behaviour adopted by one group towards their sceptical colleagues is both evangelical and harrowing because it shuts the door on further investigation by the very people who call themselves scientists. To stipulate that scientific thought is incompatible with religious thought therefore is not true. To progress however, we do need to re-marry our faith with reason. To trigger our inquisitiveness, we need to strip ourselves of self- righteousness. We have persevere and tread with humility in the unchartered territory of knowledge. Mr. Hoodbhoy’s plight is a genuine call to not just to embrace maths and physics but to take a “reasoning” approach towards life in general. To suss how to go about this in the most efficient manner, without massive upheaval an avoiding revolt requires both sensitivity and empathy towards the existing make-up of our society. On a lighter note, there is perhaps something in our air or water that aids our fondness for spicy food (compared to bland food). Likewise the tendency to believe in the super-natural has also been a part of the genetic makeup of our society. To simply put, plain mashed potato just won’t cut it in our culture unless there is a sprinkle of fairy dust Chaat masala on it. 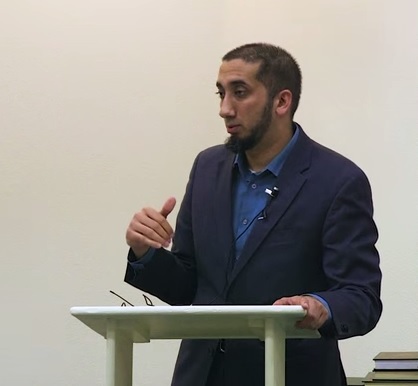 Previous articleWho is Nouman Ali Khan?